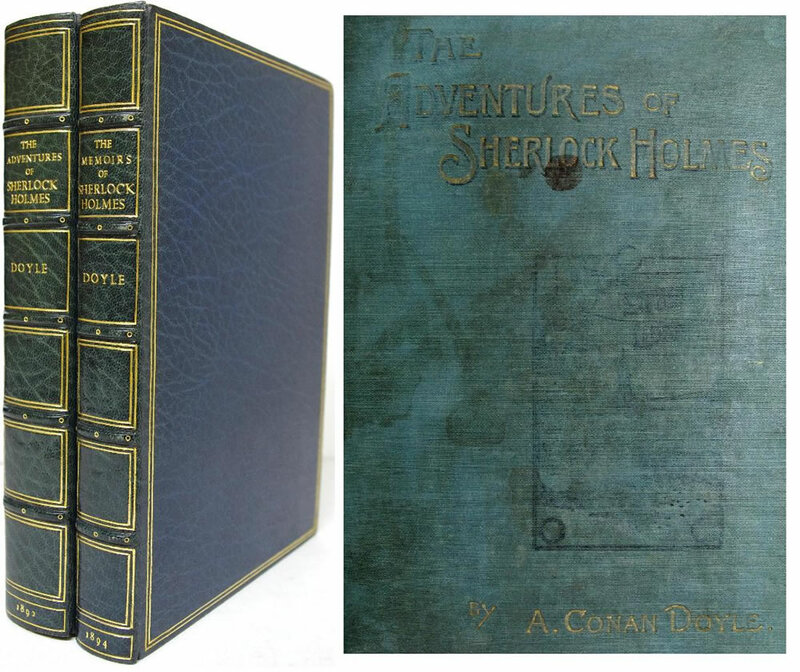 The Adventures of Sherlock Holmes [and] The Memoir of Sherlock Holmes. In 2 vols. London: George Newnes, Limited, 1892 [and] 1894. First editions, first issues. With illustrations by Sidney Paget. 317pp. / 279pp. all edges gilt, gilt dentelles. Original wrappers laid down at end of each volume. Marbled e.ps. otherwise very fine set. Some faint scratches to rear cover of "The Adventures of…".